HKS Adjustable Cam Gears allow fine tuning of the camshaft timing to maximize engine performance and tailor power characteristics for various driving conditions. 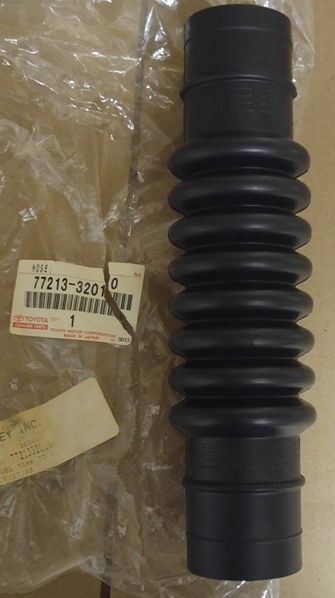 Either with OEM or HKS Camshafts, adjustments can be made to tune an engine s power band to the optimum RPM range for a particular application. 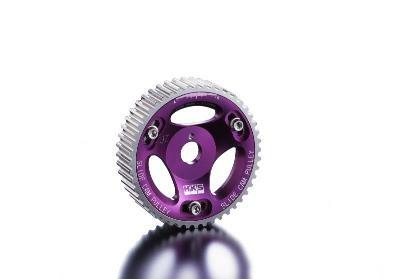 HKS Cam Gears are made completely of anodized Duralumin with nickle plated gear teeth except for applications with timing chains which utilize an aluminum slide with steel teeth. HKS engineers chose Duralumin as the core material for HKS Cam Gears because its lightweight properties decrease drag on the engine. Precise valve timing can be adjusted and set within the range of +/- 20 degrees along a Vernier scale of 2 degree intervals. 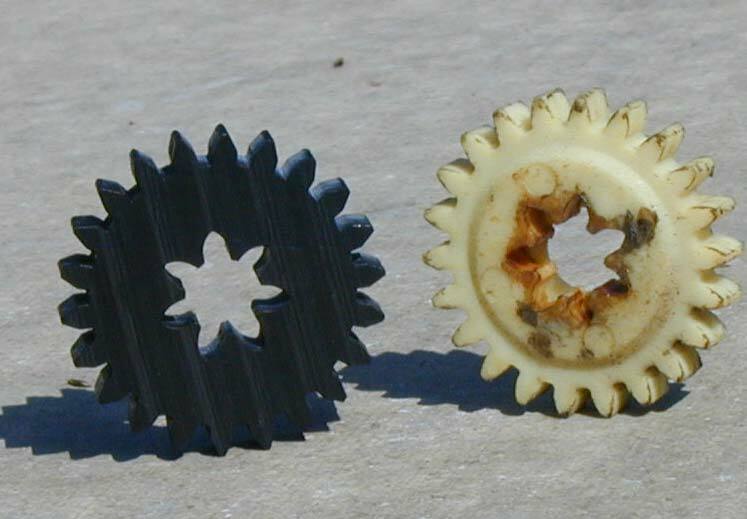 Each interval index is laser-etched into the Duralumin and "A" (advance) and "R" (retard) directional markers are also laser-etched on to the cam gear face.